My stroll in the East Village tonight. New York City. As a kid growing up in Toronto, NY was something I only saw in print. Like Dorthy in the Wizard of Oz, I was trying to get to the Emerald City. I was on a mission to get to New York City. Every Christmas and birthday, I'd ask "Can we please go to New York?" I stood, stunned,in Times Square when I finally made it to the city in 2005. My golden ticket was given to me by my arts school when it organized a class trip. "I feel like we walked into a movie",a classmate said.In my mind,we truly had. I now find myself roaming the streets of this buzzing city once a year visiting my husband's family. Our annual trip here is my cure for homesickness.Yes, Toronto and New York have characteristics which make each city unique, but it my mind the cities' strongest qualities are similar.The landscape is similar.The foliage is similar.The vibe is similar.Sometimes I walk the streets of NY and convince myself I'm in Toronto.Doing this makes me feel free. In those moments,I'm not a trapped immigrant,I'm home. I walked around the East Village tonight and replayed a reel of NYC moments in my mind.It was in NYC that I saw Larry Clark's "Tulsa" exhibit in 2005 and decided I wanted to pursue Photography.Years later,I was in NYC when I found out my beloved Grandfather had died.I took solace in Central Park where fireflies flew around me as I wrote part of the eulogy that was read at his funeral.Two years later,I was back in the city to attend a wedding and venture off to Jamaica for a three week backpacking afterwards. I attended the wedding as the date of a man who I had met through Couchsurfing.He had gone from being my host, to my friend, to travel partner and,quickly,to my lover.He had caught the garter that night and we both laughed at the idea of it meaning something.Less than a year later we were married. I may feel like a stateless person the majority of the time,but tonight I realized I do have a home here.Its not San Francisco,its New York City. Hello Art Crashers! Just arrived in NYC this morning after a painful red-eye flight from California. Maybe its my homesickness or Canadian pride, but it seems Banksy made a nice ode to the Great North with this...beaver? It's a national symbol of Canada and it is Canadian Thanksgiving this weekend. Okay, okay I'm exhausted from traveling, homesick and reading into things too much. A girl can wonder...Or imagine things. Who needs a wall, when you can spray paint a car? 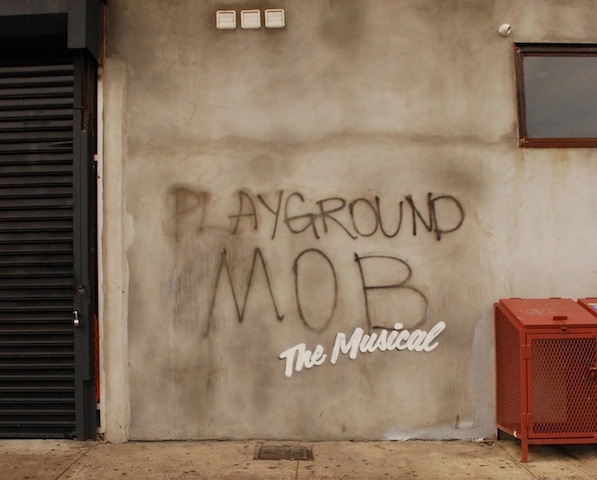 Just another day in New York during Banksy's residency. 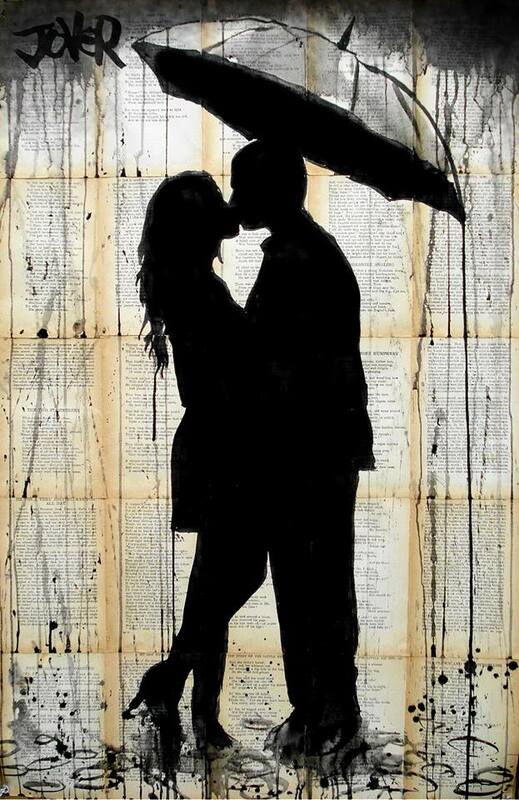 If you ask artist Loui Jover when he discovered his passion, his answer opens up a conversation that sheds light on what has molded this talented artist. "I have drawn since childhood and as other children stop at some point in their development, I never did." As it turns out, it wasn't just one period of time or merely one life experience that inspired and pushed his work. It was a series of moments. It has been his life journey thus far that has unfolded around the world that has shaped this artist. Born in Debeljaca, a small town in former Yugoslavia, Jover "was a mere baby (when) my parents migrated to Australia after a short spell in Austria. In all I am culturally a mixed up fusion of all these places, I have found that I can belong to either yet truly belong to none and in it's own funny way this has served my creative ethos well". With an overactive imagination and the encouragement of his parents, a pencil always remained in his hand. By the time he was a teenager, the pencil was replaced with an ink pen. His mother remembers him as a "chronic drawer". His father "was a blacksmith who has always had a creative yearning. He painted and sculpted. He has always been interested in creativity. This helped me immensely." Jover got an informal art educations in, of all places, the army. "One day I was walking past a recruiting centre for the Australian Army. I was desperate to find an occupation that allowed me to draw and be paid for it. I had no interest in anything military except to try and draw tanks and guns. I noticed that the army had a graphic section known as 'Illustrator Reprographics' who drew stuff all day and were paid to do so! You were told what to draw, but I didn't care. I signed up. I got in and became a Sapper in the Survey Corp. I drew and drew, and that was a great time.I learned about computers and a lot about mediums like off set printing and etching." Jover's army career ended and his art career truly began when he left the army. " I don't take well to being told what and when to draw things. That's why I left the army in the end. I was over it. After the army I ran a small graphic art business with a partner, it was called 'Gumtree Graphics' in the end he bought me out." Jover now works as a freelance artist. 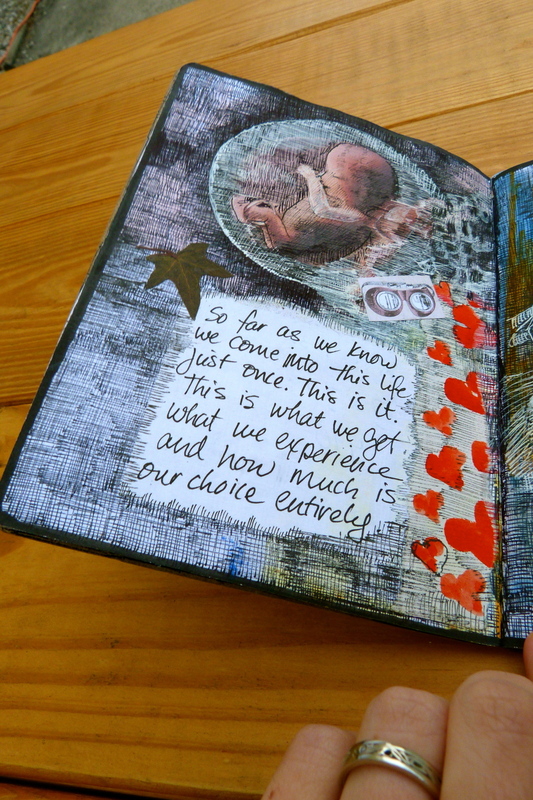 "My goal is to keep living off my drawings the way I am at the moment. I never take this for granted"
After walking me through the moments of his timeline that lead to him being the artist he is today, he pauses to reflect. "I saw Picasso's works in Paris, I saw Vincent's in Britain, Klee in Berlin, I saw the Mona Lisa and Rodin's Atelier. So all these influenced my development undoubtedly, but in the end its always the more intimate moments that effect one's sensibilities the. I loved the narrow run down areas of Paris streets more then the grand processions, I liked the damp crowded spaces of London better then Trafalgar. I liked the wild and undisciplined feel of Montenegro or the ancient walls of Dubrovnik, the brooding city of Belgrade with its bombed out buildings and the crazy back streets of Rome. All this has been invaluable to the formation of my artistic ideals. Travel is a wonderful thing." Indeed it is. 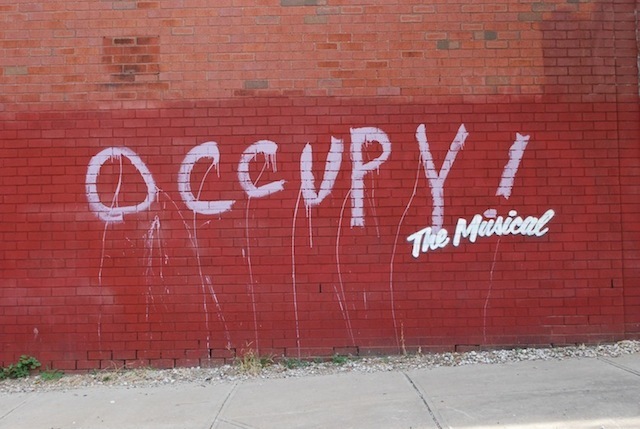 Another day, another Banksy piece found in New York. Here is a side of Banksy we don't always see. This morning I expected to find another wall in NYC hit with a new Banksy piece. Instead I found a garden. This garden, packed with a rainbow, waterfall and butterflies, is a mobile garden which will "visit a different location every evening from dusk." Tonight the trunk can be found in East Village. Its seems I'll be arriving in NYC one week too late. Our family home is in the East Village. Nonetheless, I plan to be on the hunt for more Banksy work as he continues his residency in the city. Banksy is now three for three. In three days he has produced three different pieces around the city. Looks like the month of October is going to be a busy one for Banksy and for street art lovers as they search around the city for his new work. Credit: Banksy. This second piece of his NYC show. We have just received confirmation from Banksy's website that it is indeed his work that has popped up on the streets of New York City. In fact, the street artist completed two pieces within the past two days, although one piece has already been painted over. We were greeted with "Hello and welcome to Lower Manhattan. Before you, you will see a spray art by the artist Banksy. Or maybe not. Its probably been painted over by now.." As BlackBook Magazine expresses "I promise, you wont be disappointed; a scholarly voice drone on about the meaning of each Banksy's street work. Be sure to press the right prompt - where you will momentarily be put on hold. Ironic humor." Due to frequent copycats, all of Banksy's work in this NYC show will be confirmed by his new Instagram. Check it out here>> Art Crasher will be in NYC next week. We will be keeping our eyes peeled. On her website, Australian photographer Alex Bentel mentions she "has become very familiar with the importance of documenting a memory or special occasion with the use of a camera." This statement best describes Benetel's love affair with photography.Its ability to capture a moment in time is also reflected in her work. "I can look at one of my photos and just know what my thought process was at that time and what was going on in my life." 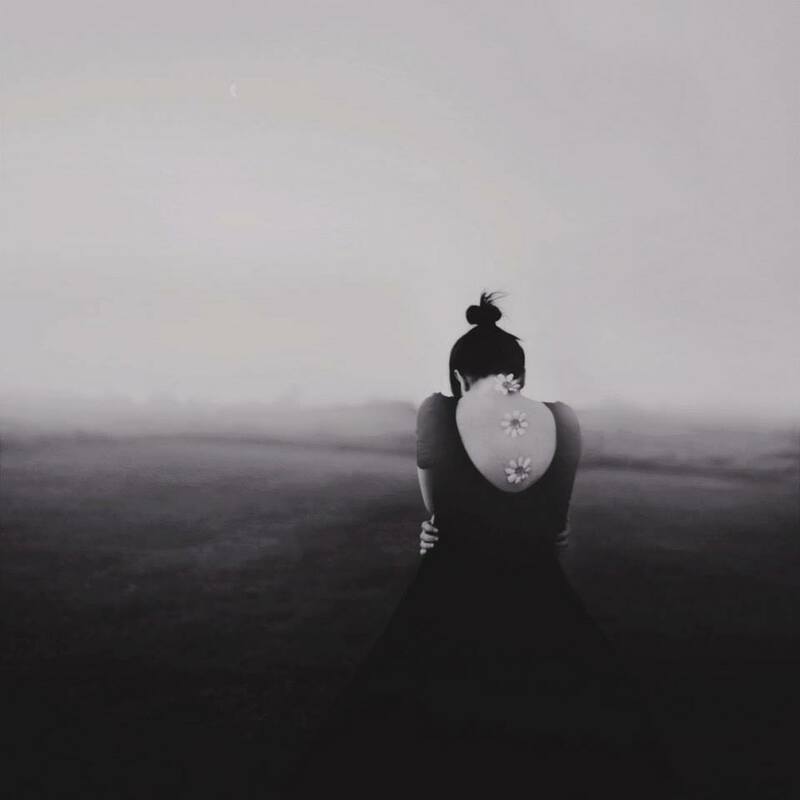 Benetel knew she had found her passion when, at 15, she enrolled in a Visual Design course and was "introduced to pinhole photography and was completely fascinated." Although she initially struggled to put herself and her work out to the world, Benetel has gained new confidence and "openness after taking the plunge into the big photography world". With new determination, she began to push herself and her craft by setting personal goals and projects. She recently completed a 52 week project. She took a photo once a week for an entire year. "Sounds easy, but I took that project as an opportunity to really push myself as an artist. It sparked such a growth in my work". Benetel offers specific advice for aspiring artists. "It takes work to build up an audience, courage to put yourself out there and without that determination and passion you won’t grow as an artist. Even on the bad days when you don’t feel like picking up your camera – do it. Document it either as yourself or portray it through a fictional character. It’s up to you – there aren’t any limits. 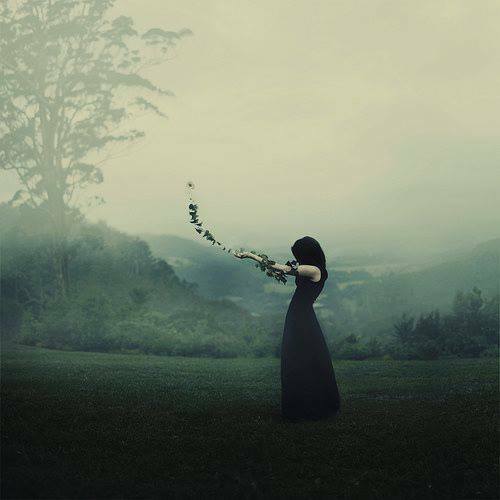 Keep taking photographs and try out that crazy idea you’ve had in your head for months." During a recent trip to America, Benetel was again reminded how "important it is to capture every single moment. I met up with over 20 photographers I had spoken to over the Internet. I'm always finding myself looking at all of the photos I took of some of my closest friends who live on the other side of the world. I wouldn’t trade those memories for anything and I’m so lucky to have them in photo form!" Here's hoping Banksy makes a visit to our newly adopted home of San Francisco. Stay turned while we uncover what is going down in October. And with this, I say good night, Art Crashers. There is a quote on Rod Sokal's website that reads "... I thought my art lost. Then inspired, I chose to create. Thus through stubbornness, pain, and love I birthed the Pictric Odissi. Welcome to my journey". This simple text shines light on the courage and determination that Sokal's carries with him on his journey. Sokal is an artist at heart and a fighter by nature's choice. Sokal battles Parkinson's disease. The disease has shown him the beauty of art and inspiration, while also depicting the cruel reality of modern medicine. He says "Modern medicine in my opinion is barbaric and lacks humanity. 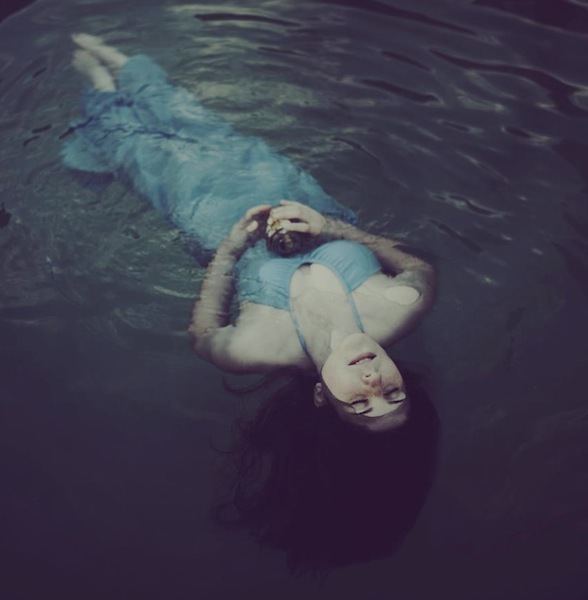 When I was trying to discover what ailed me, I was treated like a lab rat and I felt expendable. I will never forget the doctor listing possible causes after a series of tests. Numerous causes were fatal in short order. On top of that callousness, he then informed me I’d hear something in 3-4 weeks. I’ll never forget that feeling. His cold distant staff only acknowledged their need for my co-pay while ignoring the pure misery exuding from me. I died a little inside that night as I walked home. I’ve never felt more alone." While battling the "involuntary tremors, pain, depression and nausea", Sokla discovered his love for photography. When symptoms come on, he compensates "with tripod, hot lights fast shutter and great models. Although he has no formal training, photography has become a way for him to discover and express "the elusive feelings and images of my perspective. I love imagining, then experimenting until I create my vision." Art has grown to be his therapy. "I create from what I’m feeling. I’m in pain, losing muscle control, and single. So I express the strength that creates and the fears it builds. Every piece exposes me to another being and to my inner self. My favorite discovery so far is that its not whether they love you, but if that love fits into your definition of love. When asked what inspires him, his candid answer illustrates his strong character; "People, their love, pain conflict tinted by my own perspective. In life, its not always convenient to feel purely. I am very lucky because I translate my feelings into images. A byproduct of this (Parkinson's) is I’m forced to not hold back." His advice to new artists speaks directly to the hearts of fellow artists;"don’t try and create a masterpiece, just dream, and feel. If this facilitates the creation of a masterpiece so be it. I never considered that art and science could form such a beautiful marriage until I saw Jonty Hurwitz's work.Hurwitz describes himself as an "artist scientist archetype".Hurwitz says he "discovered the very fine line between art and science" while studying engineering in Johannesburg, South Africa. His work touches on physics and explores how we perceive space. Hurwitz takes "an abstract object and projects an image which we can recognise as reality, knowing that that reality doesn’t really exist. His art challenges our perception of reality." You don't have to be an Einstein to understand and connect to Hurwitz's work. What was pleasantly surprising about his work was how it stimulates the viewer on different levels. Suddenly one can recognize how science can become art and how art can become science. Hurwitz and his work creates a beautiful dance between the left and right side of the brain. What is so intriguing about Hurwitz's work is it appeals to a wide audience. If you are science and number based, great, you can see his work through that lens. If numbers aren't your thing (no worries, me either), there is an emotional intrigue than transcends and allows each viewer to form their own emotional experience and connection with this artist's work. Take Hurwitz's piece "La La Land" for instance. In scientific and humanistic terms, he explains how the piece looks at his study on "how data flows through the human corpus callosum. 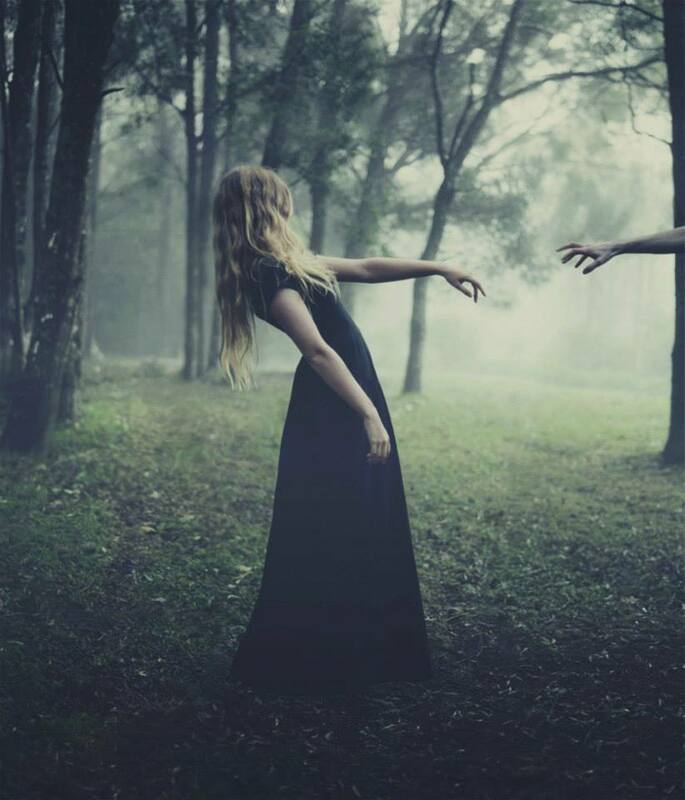 We all exist as split personalities: spiritual and operational. For those of you who understand computers, our right brain functions like a parallel processor. While our left hemisphere functions like a serial processor." - "Its always the people on the ground who have to live through the pain, not the people who make the decisions"
Zoriah Miller first witnessed the severity of war in 2006. He found himself in the Gaza Strip, renting a room with a local family in an infamous militant neighborhood. He woke up "in the middle of the night to bomb blasts and screaming.The shelling was so close that it actually was knocking plaster off the ceiling down onto my bed. It was a miserable experience and showed me that there really is nothing worse than war". Miller is a war photographer. In many ways he feels as though he didn't choose war photography as a career but rather war photography chose him. "I honestly never wanted to be a war photographer, I still don't actually".After studying disaster management and humanitarian aid and getting experience in those fields, he "ended up really hating how large aid organizations were operated. After the social and humanitarian work I knew that it was important to try to show the world the horrors of what goes on in war." After this personal realization, he bought a plane ticket and a used digital camera. He spent the next two years in Asia photographing social and humanitarian issues. His mission to share stories from the battle fields through the lens of his camera hasn't come without risks. "I have actually had quite a lot (of close calls), which is why I don't do as much conflict work as I used to. One that (sticks out) the most is a suicide bombing outside of Fallujah, Iraq. I was supposed to photograph a city council meeting with US Marine corps and local government officials. It sounded incredibly boring so (I) ended up going out with the security team on the streets outside of the meeting. A suicide bomber went into the meeting and detonated himself killing around thirty people..."
While the most extreme challenges of war photography are faced in areas of conflict, frustrating limitations often await at home as well. Wartime censorship is a dilemma which slaps war photography with a backhand. Wartime censorship is the prevention of disturbing painful thoughts or feelings from reaching consciousness except in a disguised form. It attempts to minimize the consequences of war and limit the amount of knowledge released to the public about a conflict. During the Iraq War, the Bush administration implemented wartime censorship by banning media coverage of the hundreds of thousands of coffins of fallen soldiers returning home from Iraq. When asked about wartime censorship, Miller provides perspectives that are thought-provoking. "It is important to remember that news is an industry that exists to make money and they make their decisions based on what they think is safe and will lead to more sales, not what is actually news.So often times they will go with a "safe" image rather than one that shows the true scope of the situation. The problem is that when publications dumb down their reporting then the general public will never really understand what the situation was actually like. We would constantly hear about soldiers with PTSD during the Iraq war, but no one ever fully understood it because we were never allowed to see the things the soldiers saw. So how can we care for them if we don't know, how can we understand how devastating it is to see these things if we never have..."
His work in News Week, The New York Times and The Wall Street Journal hasn't just removed the blindfold of war for readers. It has also impacted himself and his views on the world. "I have a lot of faith, love and compassion towards my fellow human beings", he shares. "This job has shown me how we are all both incredibly strong and incredibly fragile. It has shown me that the vast, vast majority of humans are truly good...I would not be here if that were not true..."
To see more of Zoriah's work, check out his site here>>. Beyond the bright lights and frantic pace of the Las Vegas Strip, the iconic art history of the city is being preserved. Founded in 1996, the Neon Museum is a non-profit organization "dedicated to collecting, preserving, studying and exhibiting iconic Las Vegas signs." 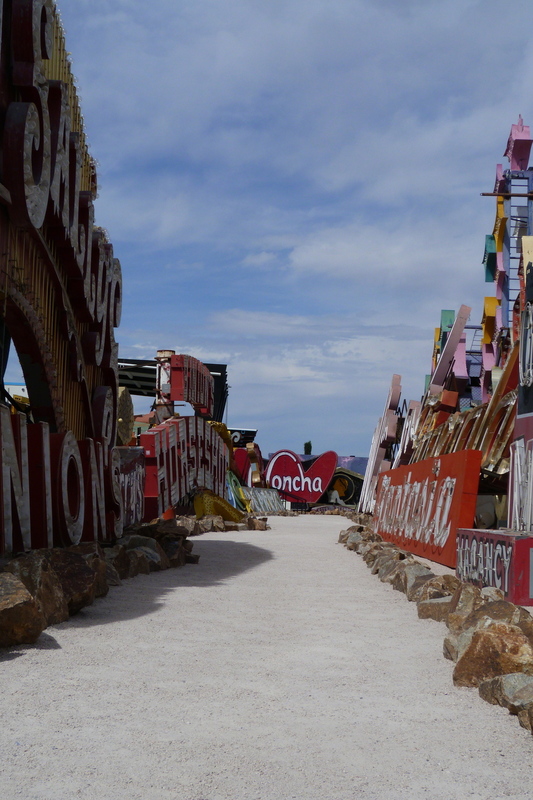 We went to visit the Neon Museum and got a crash course in the iconic signs of Las Vegas and their artists. After all, what is Las Vegas without its bright, flashy signs? One artist highlighted in the museum's collection of 150 signs is Betty Willis. Willis (a graphic designer who didn't retire until the age of 77) is well known for designing the "Welcome to Fabulous Las Vegas" sign. The sign was created in 1959 and was Willis' "gift to the city". She never trademarked the design. 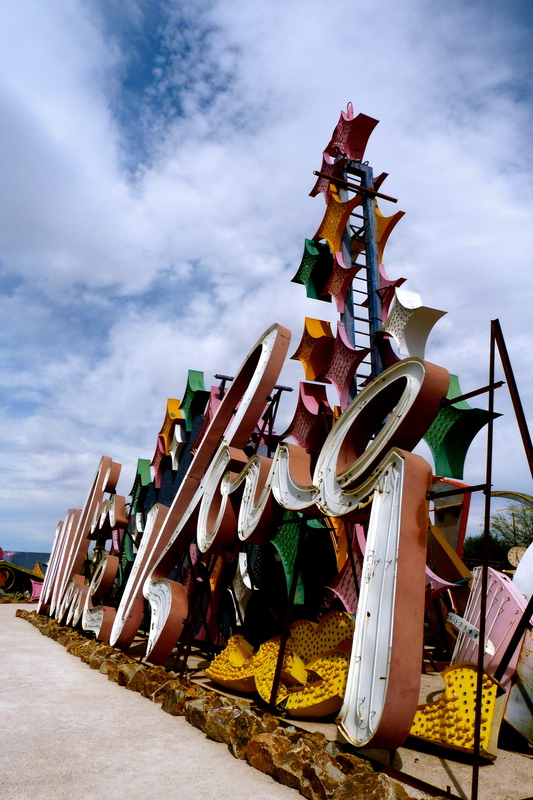 While that sign still stands on the boulevard, Willis' "Moulin Rouge" sign lies in the Neon's Museum outdoor "boneyard". The Neon Museum is truly a hidden jem out in the desert. Its also a photographer's dream! We took the day tour, but highly recommend the night tour when the signs light up the sky. Also, the 100F daytime heat is not for the weak of heart. For this San Franciscan transplant who grew up in the snowbanks of Canada, a cold bottle of water made for a great companion during the tour. 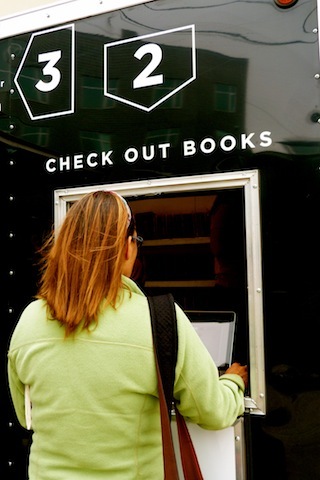 To learn more about the museum and book a tour, check out their website here>>. When we attempted to contact Banksy a few weeks ago, we received a quick response. "Banksy rarely, rarely gives interviews" the email read. We may not have been able to track down Banksy, but we were able to find some of his work in Chicago this week. 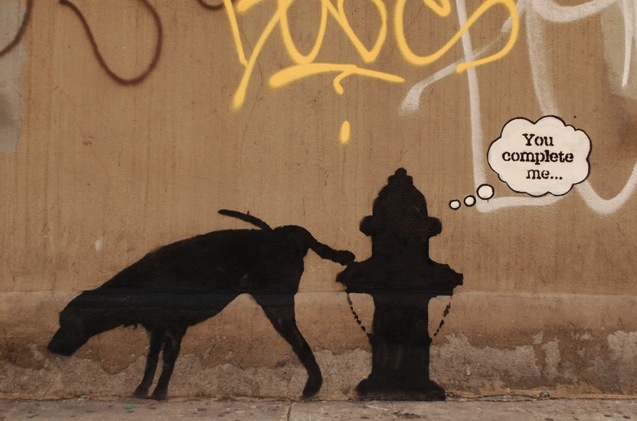 Banksy's work is scattered across cities around the world. As a lover of street art who likes to get in as much art as possible during my travels, I find myself wondering "Where is Banksy?" each time I find myself in a new city. 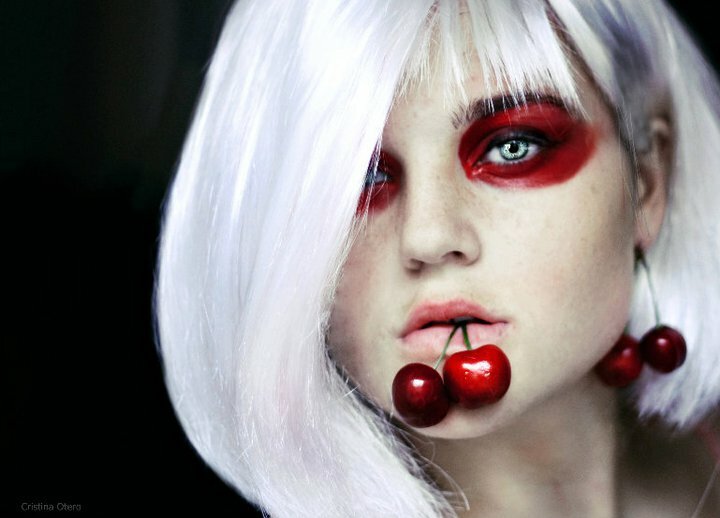 Cristina Otero, 17, was standing in her kitchen in Galicia, Spain when she was inspired to do a self-portrait series. 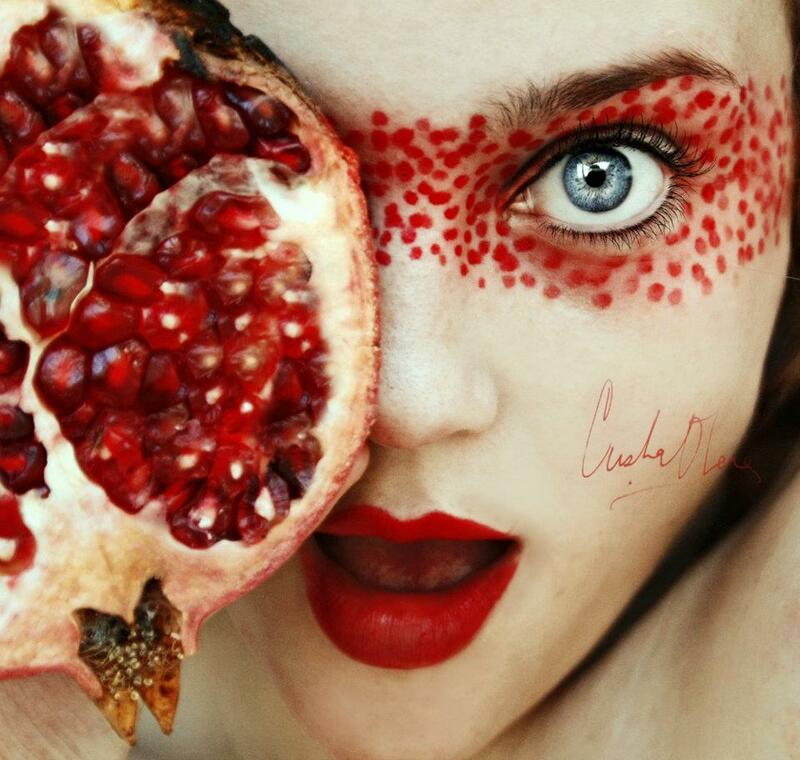 "I've always loved eating fruit. 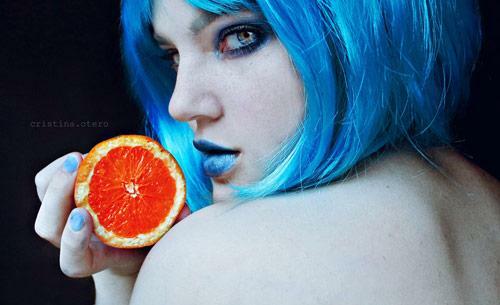 One day I was eating an orange and I decided to take a photo with it." Soon she found herself taking photos with all the fruit she could find. 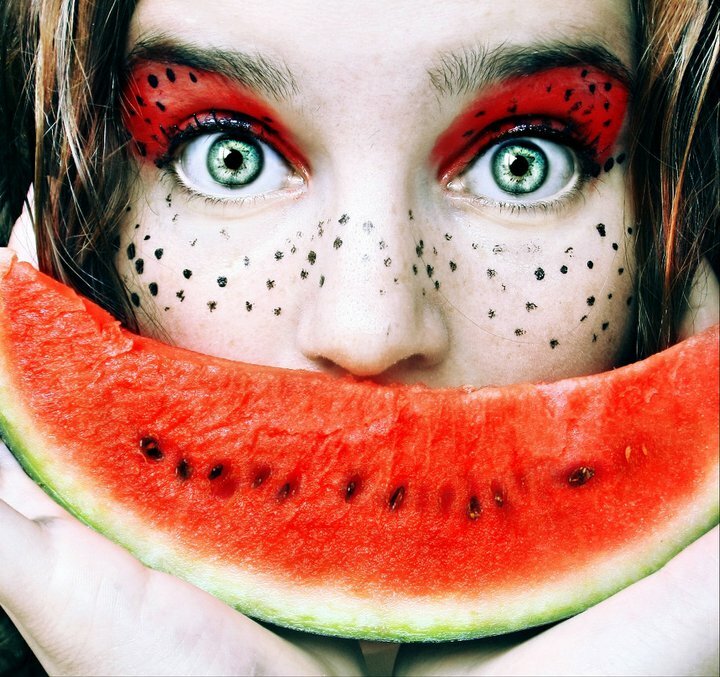 Soon her photo series "Tutti Fruttiu" (which translates to "all fruits" in Italian) was born. 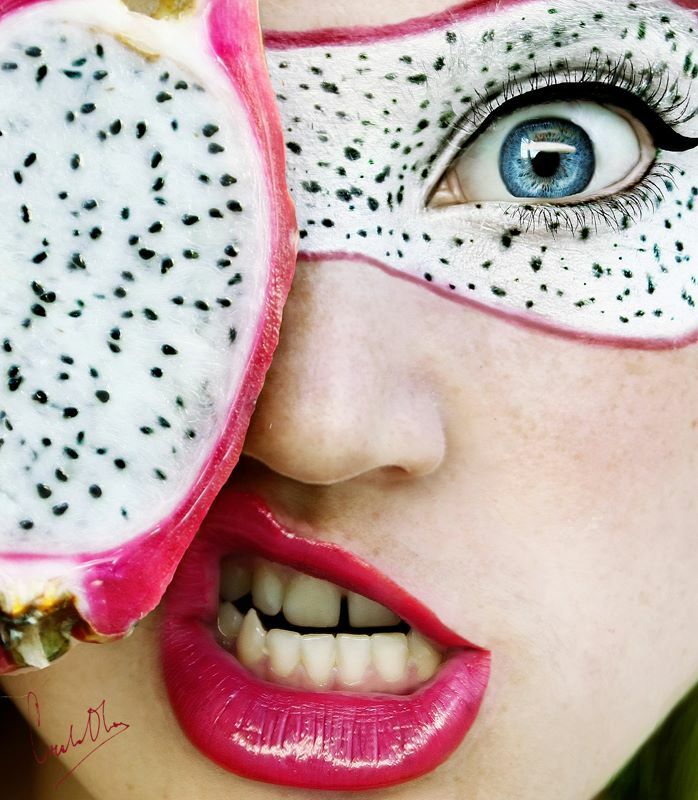 While completing the series, she asked herself "If this fruit was human, what would it's personality be?". 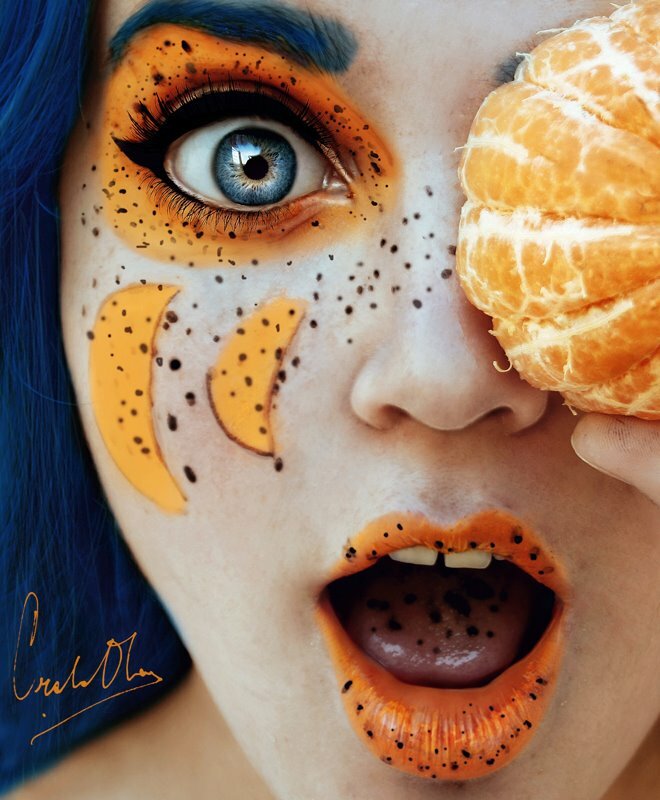 With this thought, she portrayed each fruit as a separate character using makeup and facial expressions. Otero discovered her love for photography when a friend introduced her to "America's Next Top Model". "To me, all of that was fascinating, everything. The poses, the lighting and the makeup" Today Otero draws inspiration from the world around her. "Everything inspires me. I know it sounds clinché, but its true. Inspiration is everything, everyone and everywhere. You just have to pay a little attention. For example, as I'm answering your questions, I'm thinking about a photograph portraying a writer. 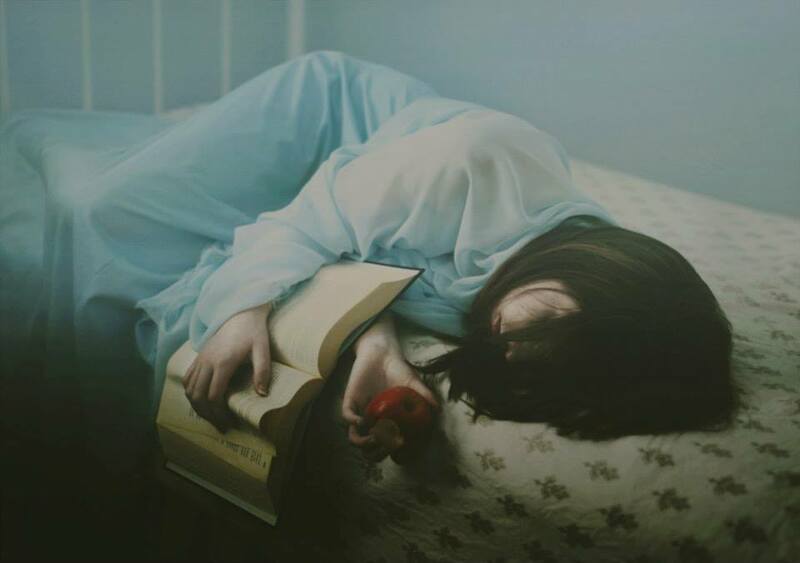 If inspiration doesn't come, why not make a photograph portraying the lack of inspiration?" Her advice to aspiring artists is simple and honest. "Many artists are scared to show their art to the world. If you enjoy doing what you love, who cares [what others think]? There are millions of people with different perspectives and opinions. Your art will be loved! Work on your flaws and experiment. Never lose the creativity and eagerness that made you start in the first place". Up next for Otero is a new series entitled "The Forgotten" where she represents "mythological creatures in their environments". To see more of Otero's work, check out her Facebook page >here<.